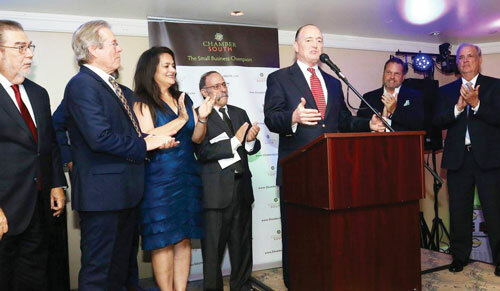 ChamberSOUTH, serving the South Miami Dade business community since 1930, held its 87th annual Chairman’s Reception at the Mayfair Hotel & Spa in Coconut Grove. 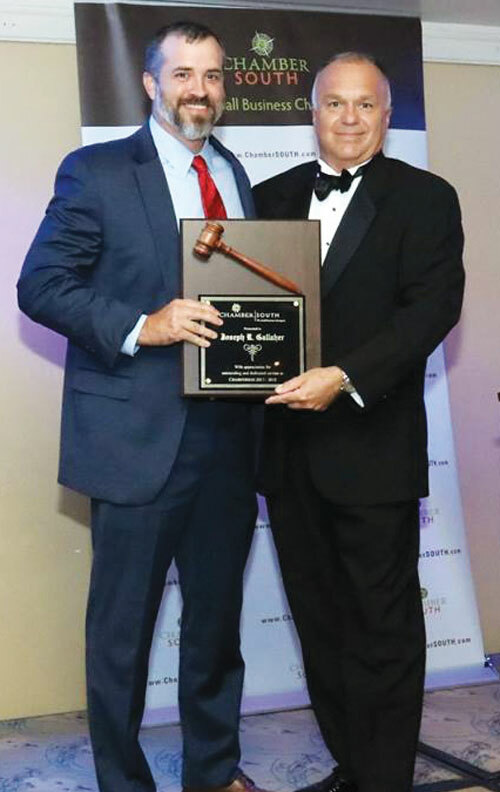 The event provides the occasion to formally recognize the service of the out-going Chair Joe Gallaher of NAI Miami and pass the gavel on to the incoming chair Ken Kistner of CBT College and to recognize two other community leaders for their outstanding contributions to the community: Hon. 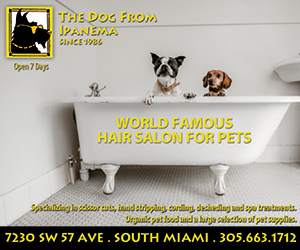 Ileana Ros-Lehtinen and Peter Jude. 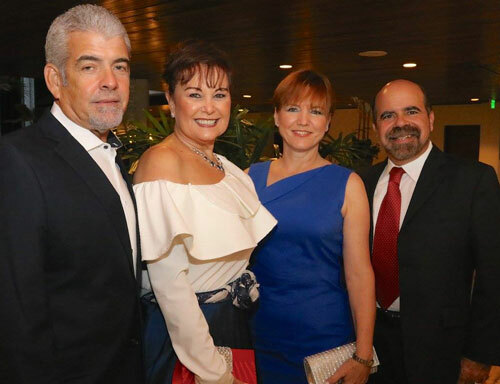 The Congresswoman received the L. Russell Norton Award, which is annually presented to an exemplary elected official, and Peter Jude received the Steven J. Cranman Award for community service. 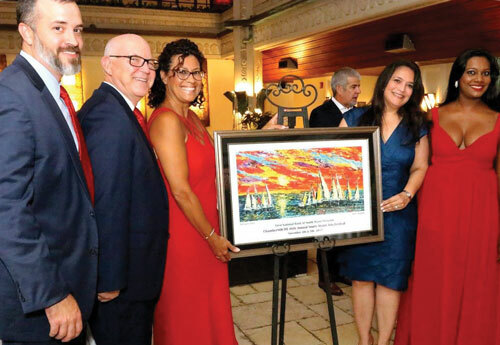 The evening began with the poster unveiling for the Chamber’s 46th Annual South Miami Art Festival. 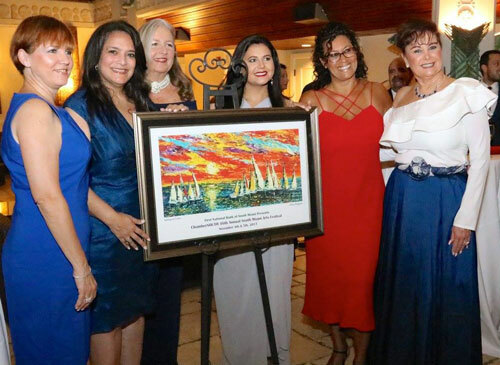 Pictured above on the top left is the artist Lillian Delgado, standing left of the work titled “Sailing in Color” with Claudia A. Cancio, Past Chair and representing First National Bank of South Miami, presenting sponsor of the Art Festival. 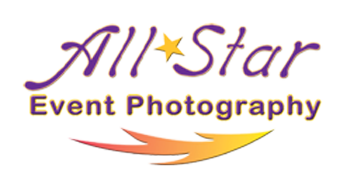 Pictured with them are Joe Gallaher, Ken Kistner and Chamber President Brittnie Bassant. 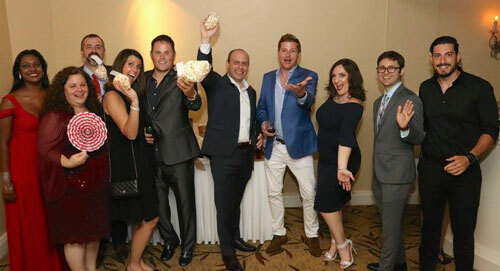 A lavish reception in the Palm Terrace was followed by a dinner program, silent auction, awards presentations and dancing. 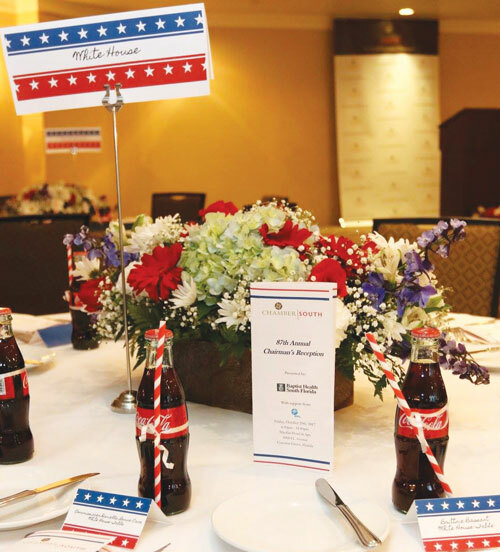 The event had a red, white and blue theme in recognition of the incoming Chair’s commitment to the Military Affairs Committee which he chaired for several years. 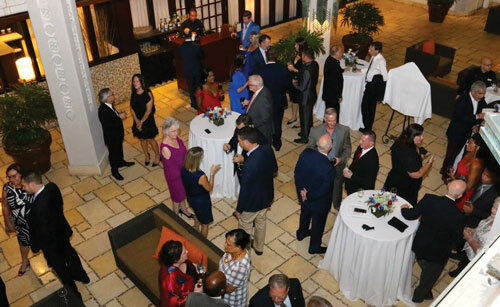 Several elected officials from the Chamber’s service area enjoyed the evening and visiting with constituents from many communities. 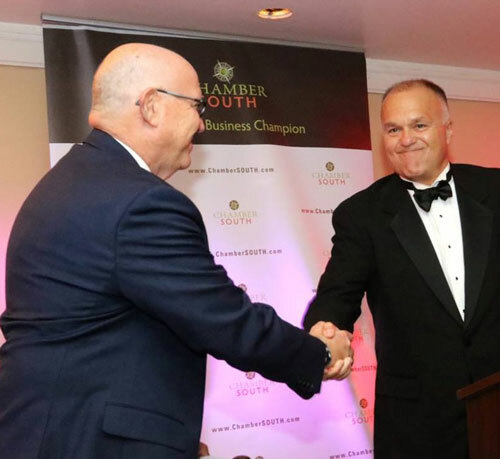 Emcee Paul Voorman, former Town of Cutler Bay Mayor, presenting a token of appreciation to outgoing Chair Joe Gallaher. 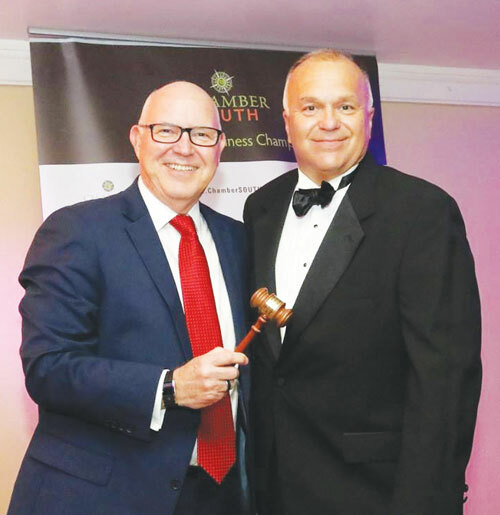 Incoming Chair Ken Kistner receiving the gavel from Voorman. 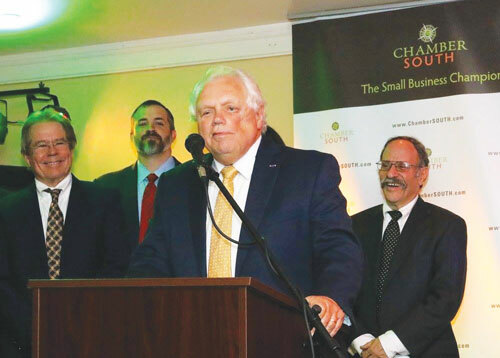 Pictured on the stage with other past chamber chairs, Gavel Club member Ricardo Forbes, announcing the ChamberSOUTH honorees. 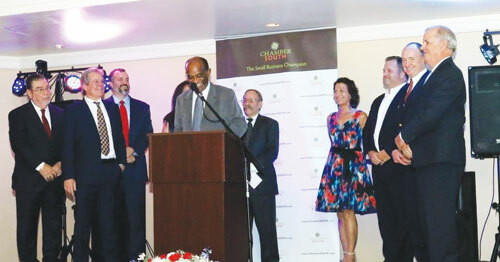 Kendall Regional Medical Center’s Peter Jude accepting another one of the Chamber’s prestigious annual awards. 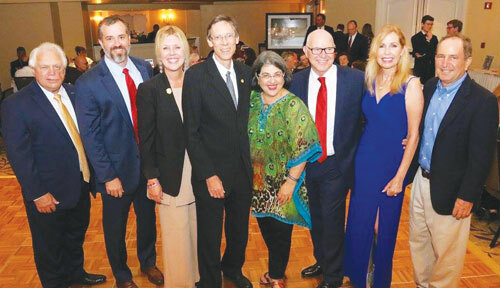 Dexter Lehtinen, Joe Gallaher, Karyn Cunningham, South Miami Mayor Philip Stoddard, County Commissioner Daniella Levine Cava, Ken Kistner, Cutler Bay Mayor Peggy Bell, and Palmetto Bay Vice Mayor John Dubois. 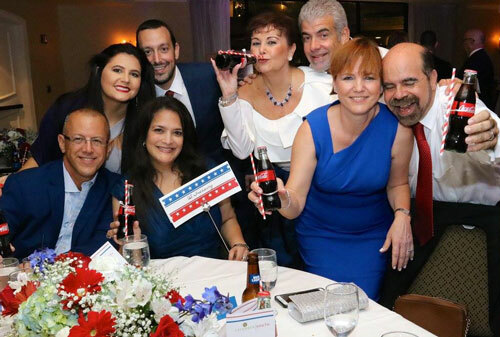 New CEO/President Brittnie Bassant (left) with board members Mariano Martinez, Michael Schwartz, Joe Gallaher, Karyn Cunningham, JoAnn Parnes, Ken Kistner, Mindy Herris, Claudia A. Cancio, Alex Schrer, Allison Polk, Karen Nercess, Peter Jude, Stephen Foster, and John Edward Smith.